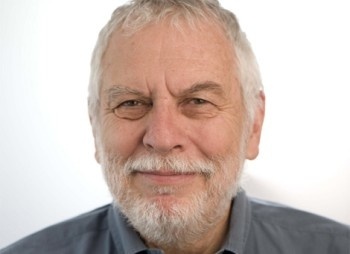 Atari co-founder Nolan Bushnell, who recently returned to the company as a member of its board of directors, says that he wishes he'd never sold it in the first place. The early history of Atari should be familiar to all of you by now: Founded in 1972, released Pong stand-up the same year, home version in '75, VCS in '76 and, that same year, Bushnell decided to sell out to Warner. He stayed with the company for a brief period but was fired late that year over a disagreement about the company's future. In the years since, Atari's fortunes have waxed and waned, mostly waned, to put it mildly. But back in the day, Atari was king, which Bushnell attributed to both a focus on innovation and an "irreverent" attitude among its workers. "We were willing to mess with people," he said during a speech to the [a]list summit last week. Atari was a meritocracy at the time, he explained, noting that management didn't really care how things got done, as long as they got done. "Abandon process, focus on outcomes," he added. And despite the company's seemingly-endless woes - current CEO Jeff Lapin recently described the company as a smelly, rotten onion, with layer upon layer of problems - Bushnell said that he regrets selling out all those years ago. He was tired of the business and suffering from "five-year ADD" that leaves him bored with projects after a half-decade or so, but admitted that he really wishes he could take that move back. "I was stupid. I sold completely because I didn't understand Wall Street," he said. "In retrospect, I really wish I hadn't sold it."